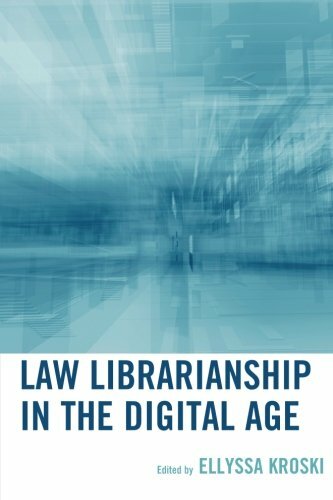 It is absolutely essential that today’s law librarians are digitally literate in addition to possessing an understanding and awareness of recent advancements and trends in information technology as they pertain to the library field. Law Libraries in the Digital Age offers a one-stop, comprehensive guide to achieving both of those goals. Each chapter explores the key concepts and issues that are currently being discussed at major law library conferences and events today and looks ahead to what’s on the horizon for law libraries in the future. Chapters have been written by the field’s top innovators from all areas of legal librarianship, including academic, government, and private law libraries, who have strived to provide inspiration and guidance to tomorrow’s law library leaders.